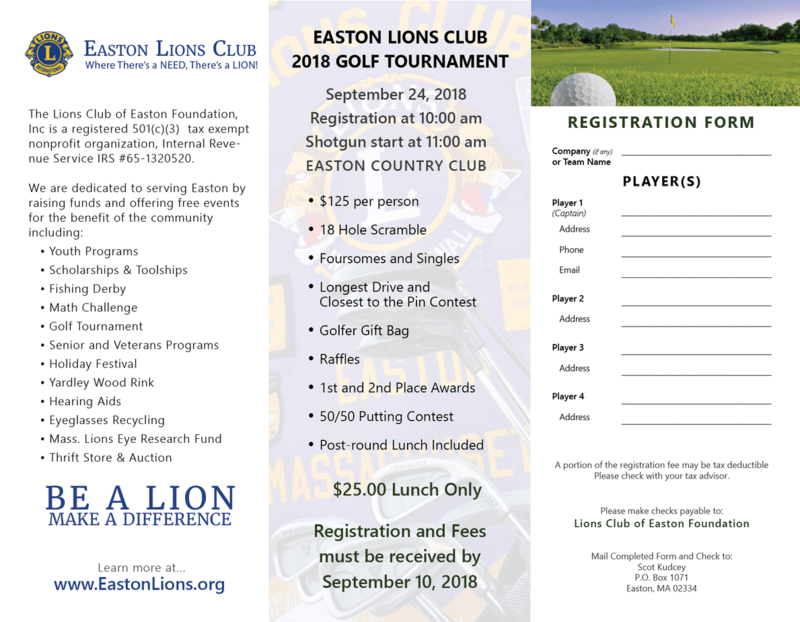 Join the Easton Lions at our annual Golf Tournament at the Easton Country Club. 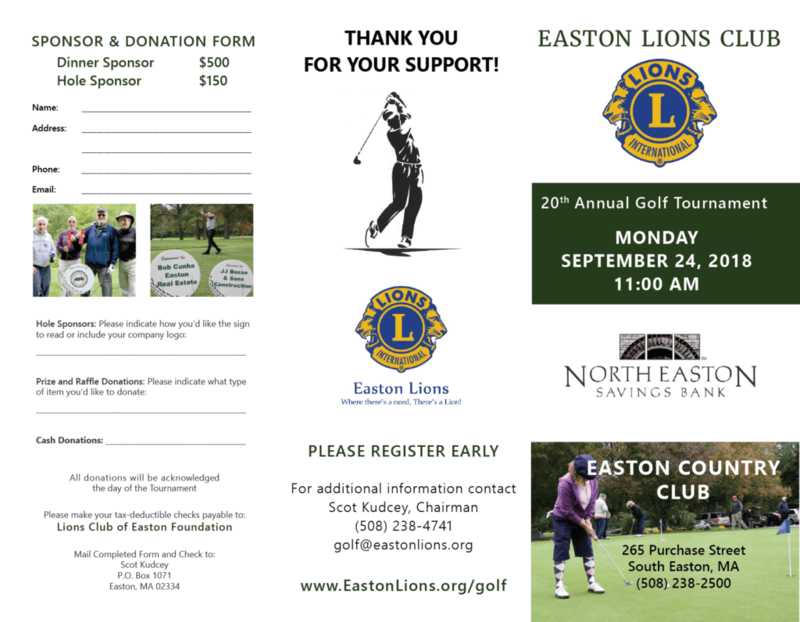 We are raising money for Easton Scholarships and the Massachusetts Lions Eye Research Fund. It is an excellent opportunity to have fun out on the links with friends and family and enjoy a camaraderie in the clubhouse. 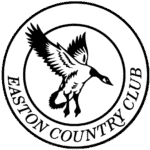 As in the past, it will be a shotgun start with a full 18 holes of golf followed by lunch at the club. We will have prizes for a number of things – longest drive, closest to the hole, along with a putting contest. Sponsorship and registration forms can be downloaded using the links below. If you have any questions about the tournament, would like to be a sponsor or help out, please contact Scot Kudcey at 508-238-4741 or e-mail golf@eastonlions.org.